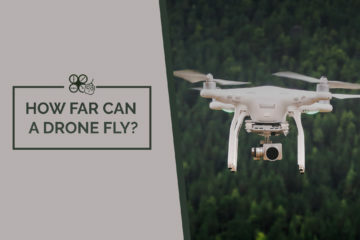 Do you absolutely love flying a drone? If the answer is yes, you should definitely remember that problems can happen. This is definitely the case in the beginning. You have to remember that your drone is going to have a range limit. At the same time, there is a possibility that you’re going to crash it at some point or another. With this in mind, you need to take steps to ensure that you do not lose your drone. And, you should have a plan in place just in case you do. Within this guide, you’re going to discover tips for doing just that. 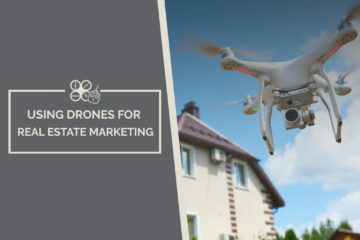 Whether you’ve bought one of the best hobby drones or another type of drone, you’re going to be spending a little bit of money. You will definitely want to do everything humanly possible to protect your investment. Even the best drones for the money have range limits. Plus, you might just crash your drone. The good news is that locating a lost drone doesn’t have to be too difficult. Within this guide, you’ll find out how to do just that. Remember that drones can be excellent for surveillance purposes. With this in mind, you should consider using another drone to search for the lost drone. Just attach a camera to it and you’ll be good to go before you know it. Be sure to fly in the right direction. Take your time and be cautious. With a little bit of luck, your search will be successful and you won’t need to jump through any additional hoops. While you’re at it, you’ll want to look for lights. If your drone has a decent battery life, there is a good chance that it still has some juice left. If so, your drone is going to shine light into the area. This is definitely a good thing for you. Look throughout the area and see if you can find lights nearby. If you do, you should definitely head in that direction. There is a good chance that your drone is signaling you. Before going any further, you should try using the designated button. There should be a button called “Go Home” or “Return”. This button will send your drone in the right direction. In fact, it will do pretty much everything for you. Just remember that this feature might not work if the drone is damaged or the battery has been completely drained. Nevertheless, it is well worth trying out. With a little luck, it’ll solve all of your problems. There is a real possibility that your drone has gone missing because you’ve hit a tree. If this is the case, you should take the time to scour through the trees in the area. Look up high. Look far and wide. If you do find that the drone is stuck in a tree, you’ll need to put together a plan to retrieve it. This won’t be too difficult. You just need a good ladder. Bring one along and you’ll easily be able to recover the drone without too much difficulty. If you’re going to be flying your drone, be sure to keep it away from these obstacles. At the end of the day, a good protection plan is really the best way to prevent such problems. With that being said, you should be ready to protect your drone in the first place. You need to find ways to prevent the drone from getting lost. This won’t be too difficult. Below, you’ll find tips for preventing your drone from getting lost. First and foremost, you should make sure that you’re using a drone tracker. They’re somewhat expensive, but they’ll prevent your drone from getting lost. If they do get lost, your drone is going to be located very easily. The tracking device will ensure it. Take a look at the drone laws by state and make sure your drone and tracker obey the laws in your area. While you’re at it, you need to make sure that you’re flying your drone cautiously. Some people get too careless and too comfortable. This results in them flying their plan dangerously and that greatly increases the risks involved. This is a problem and it needs to be avoided. Make sure that you fly the drone carefully to reduce the likelihood that you’re going to lose it. Finally, you need to keep a close eye on your battery life and your drone’s distance. Remember that both are limited. You might end up losing your drone if the battery dies. After all, it won’t have the power to go anywhere else. Keep a close eye on these things at all times. 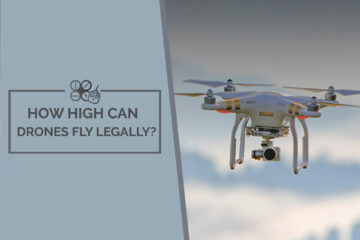 This will ensure that your drone is always within range and that your drone is going to have enough power to make it back to you. 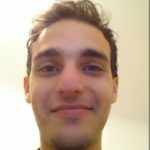 I am the founder and main publisher at TheDroneLogic! I try my best to make sure all the info published on the website is legitimate and up to date.